Electro-Motive Diesel, formerly a division of Progressive Rail (owned by Caterpillar), has a history dating back to the early 20th century. EMD originally began as the Electro-Motive Corporation, a privately owned company being based out of Cleveland, Ohio that built inexpensive motorcars beginning in 1922. With the purchase of the company in 1930 by General Motors, and more resources at its disposal the company began developing the precursor of the modern-day diesel-electric road unit (cabs and road-switchers), the streamlined trainset, which consisted of a powered car permanently attached to a few coaches (usually two or three cars). 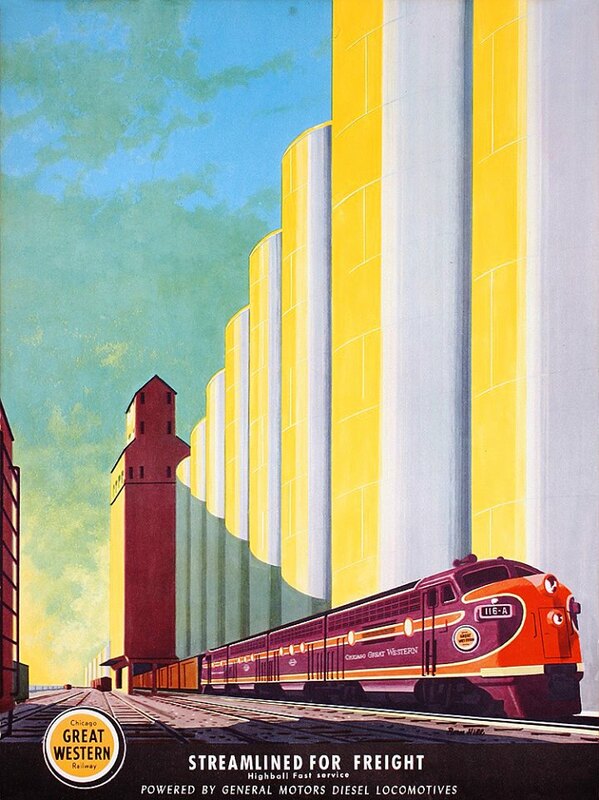 The most famous of these streamlined trainsets was the Burlington Zephyrs, a beautiful streamlined stainless steel creation (originally powered by Winton engines, which would also become a subsidiary of GM) that was extremely lightweight and fast. 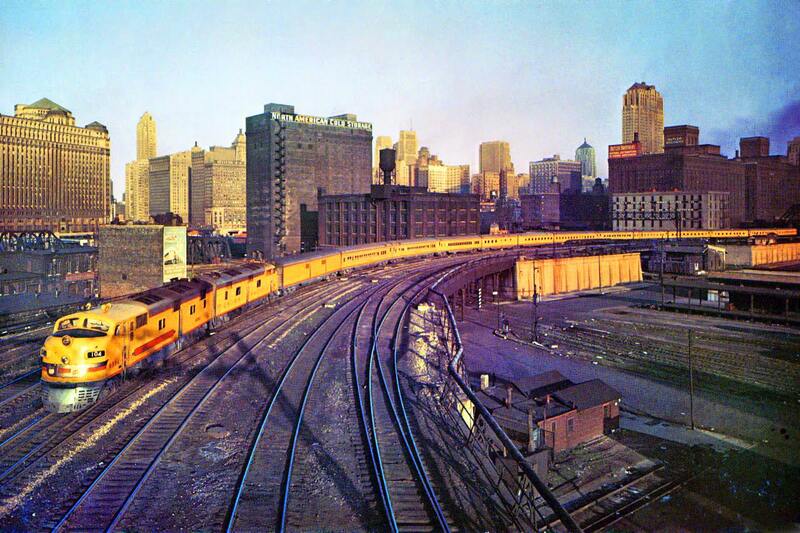 The original trainset, the Zephyr 9900, made headlines in 1934 when it completed a non-stop journey from Denver to Chicago in a little over 13 hours. However, before this development and new technology was introduced, EMC had already become part of General Motors, having been purchased by the company in 1930 and branded GM's Electro-Motive Division, a name it would hold for 75 years. Because the power cars with these trainsets were permanently attached to the coaches EMD sought to design a locomotive free of this articulated setup but designed in such a manner that a railroad could still attach it to any passenger train and obtain the same, smooth streamlined look. This it did with the unveiling of the EA model in 1937, the first in a long line of passenger diesel locomotive designs that would come to be known as the E series. Not surprisingly, soon after the EA unveiling the company decided to take things a step further and develop the first true diesel road unit, capable of pulling long freights in main line service. In 1939 it introduced the FT model (perhaps the key difference between the E and F series was that Fs rode on B-B trucks whereas Es rode on C-Cs and carried a noticeably longer carbody), the first in EMD’s F series and one of the most success diesel-electric designs of all time. The F series would go on to define American railroading for years and you can still see it in regular use today, over 60 years after it first debuted! The FT (which stood for Freight, Twenty-seven hundred horsepower) was a superb locomotive and although its 2,700 horsepower came from an A-B setup of a cab (A) and booster (B) units rated at 1,350 horsepower each, it was quickly loved by many for the efficiencies it held over steam such as its ruggedness and ease of maintenance. The FT was a serious locomotive and although its 2,700 horsepower came from an A-B setup of cab (A) and booster (B) units rated at 1,350 horsepower each it would become embraced by the rail industry for the efficiencies it held over steam power as well as being rugged and easy to maintain. 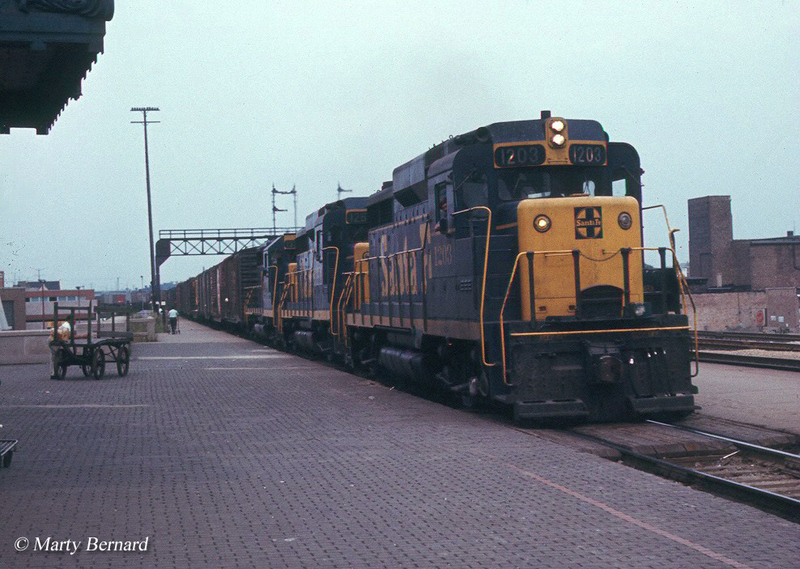 Following the success of its cab units, EMD realized that there was a market to be made in the road-switchers, which at the time was mostly dominated by Alco with its RS series. Its first attempt at this type of locomotive, which gave the train crews both excellent vision all around the locomotive for switching and local service as well as enough horsepower to be used in main line operations, was the BL2. Although unsuccessful from a sales standpoint the BL2 was really a mere stepping-stone for its next model, the GP series (meaning General Purpose). The BL2 was certainly unmistakable with its longer nose and recessed carbody, which allowed the cab to be much more “open” and train crews could see behind the locomotive as well as to the front. Built only between 1948 and 1949, the model came in the standard GP configuration of four-axles and it carried 1,500 horsepower. A total of 59 BL2s were built, naturally making them very rare today! 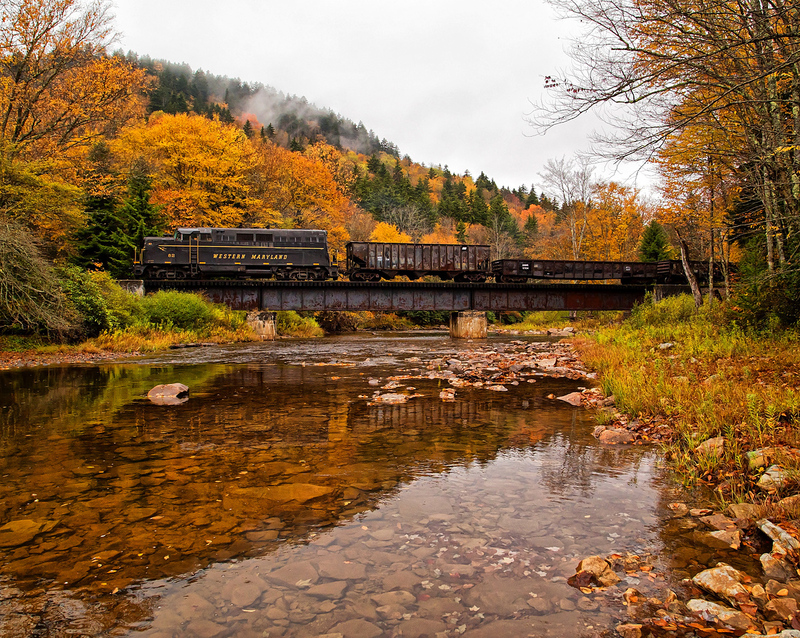 Having said that, a number of them survive and at least two are still operational; one, on the West Virginia Central in West Virginia and the other on The Stourbridge Line in Pennsylvania. The first of the GP series was the four-axle, GP7, which began production in 1949. 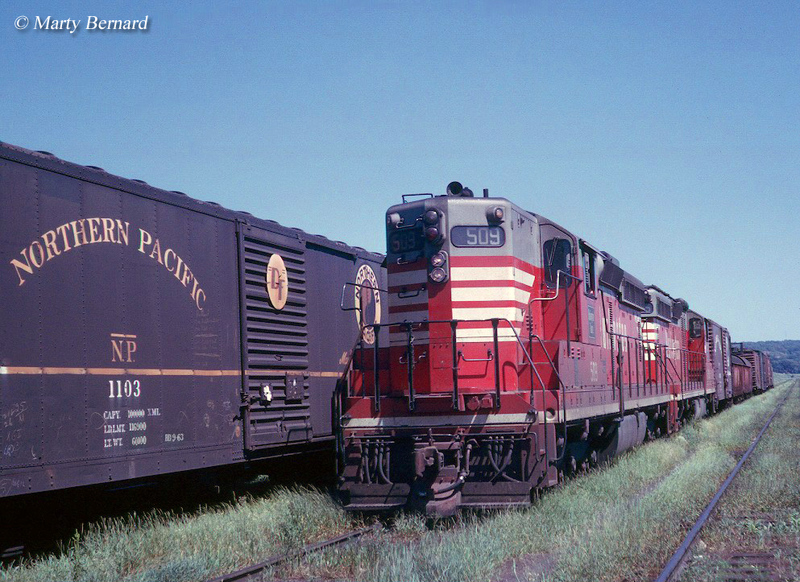 Still commonly found today on several regionals and shortlines the GP7 is the classic image of the road switcher with its high, short hood and cab set off to one end leaving for a long hood trailing. The model was most commonly built with the high hood but some requested a lowered version in the later standard cab design, which included front windshields (GP7s would also be rebuilt with shortened hoods). Through 1954 the model sold an astounding 2,600+ units and is widely credited with completing main line dieselization, relegating most remaining steam locomotives to branch line, yard and short line work (an exception would be the Norfolk & Western, which held out on scrapping its steam fleet until the late 1950s). Following the GP7 was the GP9, which saw an increase of 250 horsepower from 1,500 to 1,750. The model also blew away the GP7's staggering sales numbers, selling more than 6,000 units. Aside from the model's increased horsepower perhaps it's biggest improvement over the GP7 was the addition of dynamic brakes. By the 1950s EMD was the unquestionable leader of diesel locomotive manufacturing, making up the vast majority of all diesel sales during that time. The company originally introduced a six-axle model of its popular GP series a few years after the GP7, in 1952. Known as the SD7 ("SD" stood for Special Duty), high-hooded models were standard through the following SD9 and SD18 but these three types never sold nearly as well as their four-axled brethren. However, that would change with the second-generation power as EMD's SD24 and subsequent models far outsold their four-axle counterparts. This was especially true when the company debuted its SD40 series. 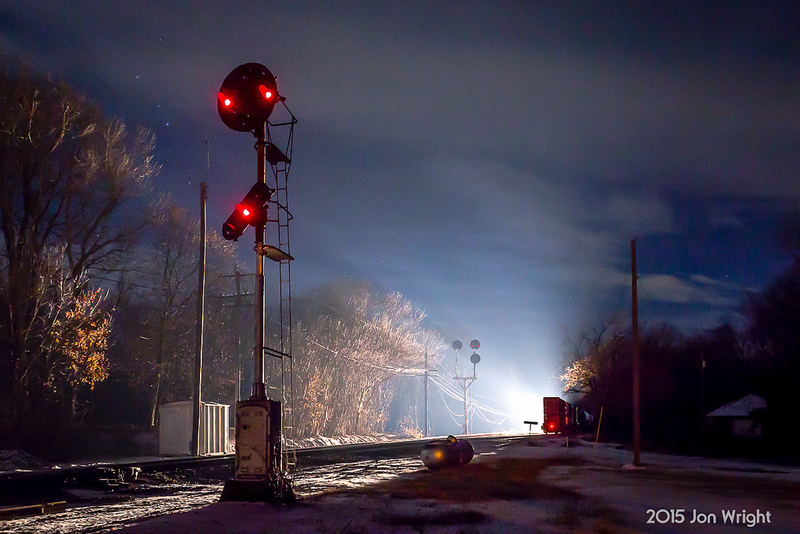 Along with its "Dash 2" sister the SD40 series have become icons, even in their own time! So successful was the series that one can spot them virtually any place on practically any given train (Class Is included), even today, over 20 years after the last SD40-2 rolled off of the assembly line! 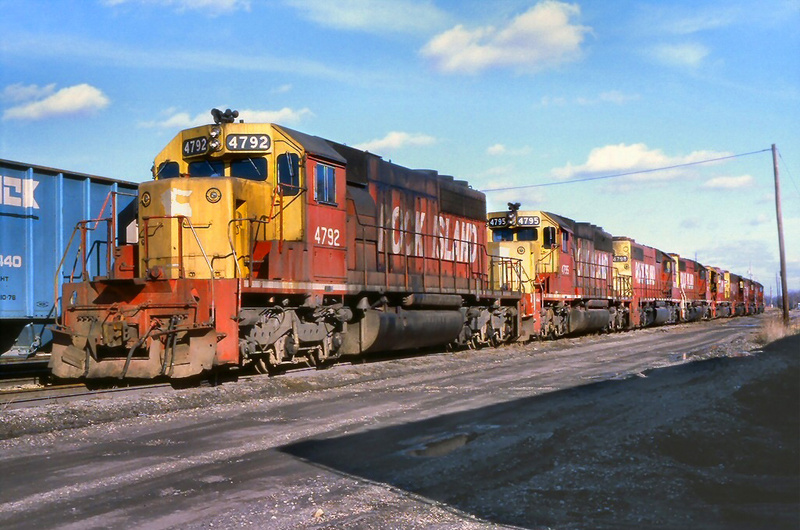 The SD40 series began production in 1966 with the SD40, which was built through 1972 and ended production in 1986 when the last SD40-2 rolled off of the assembly line. By the time production ended an astronomical 5,200+ units had been built! Most of these were SD40-2s as just under 4,000 were produced during its fourteen years of production while the SD40 chipped in another 1,200+. 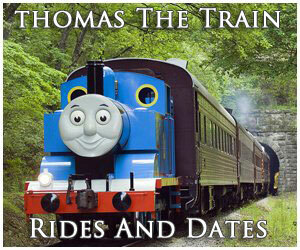 When the series debuted it was just what railroads were after. 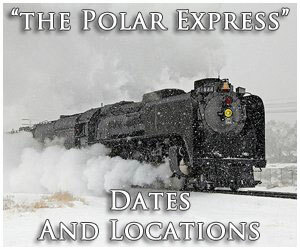 Looking for a more powerful, reliable and gritty locomotive that could be counted on to work properly in almost any type of weather conditions the SD40 and SD40-2 were it. Rated at 3,000 hp, equipped with EMD’s standard cab design, and a C-C layout (meaning they had six axles) the units carried their builder’s 16-cylinder 645E3 diesel engine and high-traction truck. Extremely reliable the prime mover was loved by maintenance and shop crews and even many engineers have said the locomotive itself is a joy to operate as it experiences very little problems when in service. This reliability, ruggedness, and ease of maintenance have been so fantastic with the SD40 series that the units continue to not only remain in common use on Class Is but also the big carriers have liked them so well that many are rebuilding the locomotives to keep them in active service for years to come! However, following the SD40 series EMD's tight grip as the number one manufacturer began to loosen. 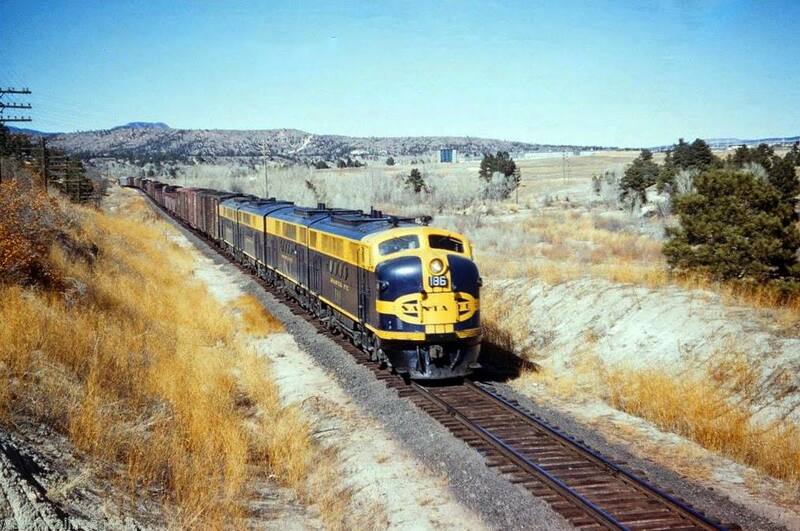 General Electric, which had entered the market in the 1950s with its Universal series, following its breakup with Alco (before this the two companies had worked together building diesels), had slowly been gaining market share. 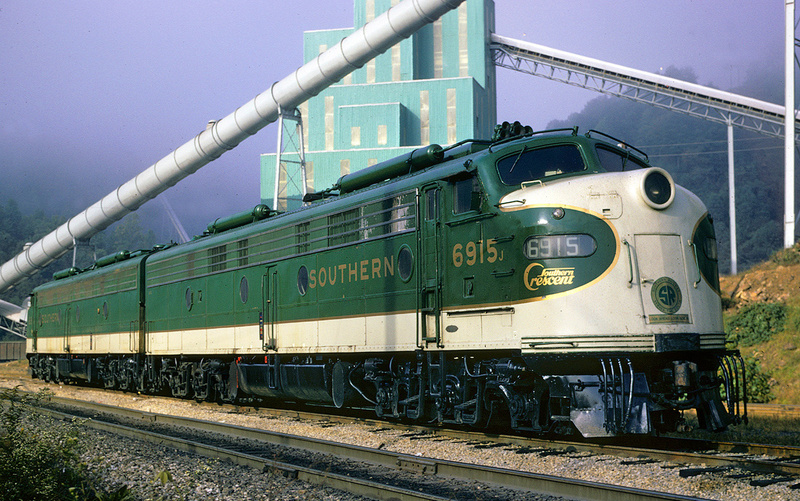 When EMD introduced its trouble-prone SD50 in 1980 it was already receiving increased competition from GE, who had already put Alco out of business more than a decade earlier, and the SD50 fallout only made things worse. By the mid-1980s GE had taken over the number one spot and has retained it ever since. However, EMD found its footing again with its SD70 and SD80 models. The SD70ACe became the builder's primary road-switcher model for domestic customers in 2004/2005 as a low-emissions, high-horsepower main line locomotive. It sold well for a decade, meeting EPA's Tier II and Tier III standards. One of EMD's biggest changes occurred when the company was spun-off by General Motors in 2005, remained independent for a few years, and then was acquired by Caterpillar in 2010. Perhaps its biggest selling feature was the HTCR Radial trucks, which steer into curves instead of simply following the track. 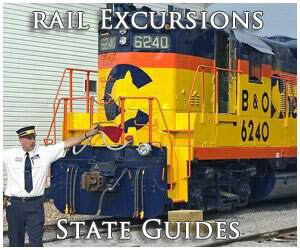 They greatly reduce wear to both locomotive and rail. As the EPA increased its regulations on ever-cleaner diesel emissions it seemed the SD70ACe and its 710 prime mover were safe as the engine met later Tier III standards. 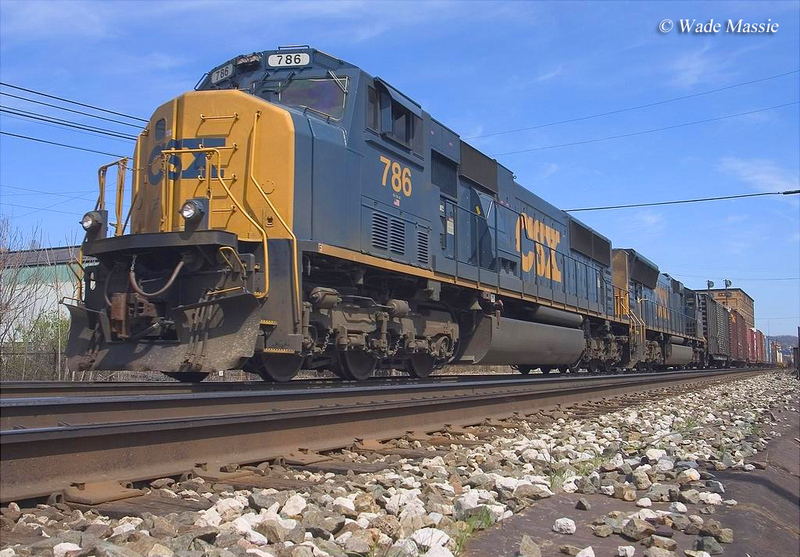 However, when Tier IV standards went into effect on January 1, 2015 Caterpillar/Progressive Rail was unable to make the prime mover compliant and it appears there is no way to do so according to Bill Badurksi, a former EMD employee in his article "Closing A Chapter In History," from the January, 2015 issue of Trains Magazine. During October of 2015, Progressive Rail finally unveiled a competitor to General Electric which met Tier IV standards. Known as the SD70ACe-T4 this locomotive was presented to the public during the Railway Interchange tradeshow at BNSF’s Northtown Yard in Minneapolis, Minnesota. It features a completely new engine, the 1010 model that can produce 4,400 horsepower via 12-cylinders (four-stroke). This new prime mover replaced all of the earlier EMD designs dating back to the General Electric, which included the 567, 645 and 710 series. The new model is currently undergoing testing and it is hoped will finally offer serious competition to GE's dominance in the market over the last several decades. In a surprising move, during the late summer of 2016 Progressive Rail announced its intentions to permanently dissolve the Electro-Motive name as a business entity. 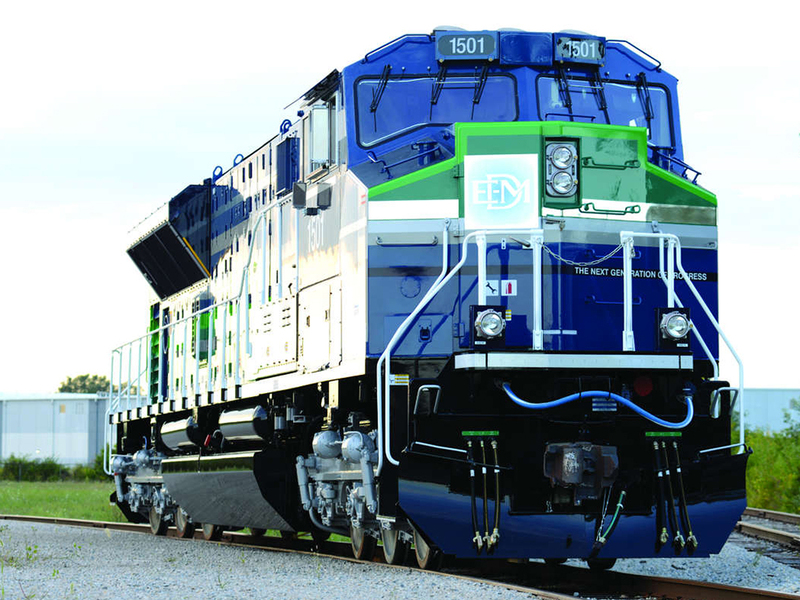 •Electro-Motive Diesel, Inc. will become Progress Rail Locomotive Inc.
•Electro-Motive Canada Company will become Progress Rail Locomotive Canada Co.
•Electro-Motive Diesel International Corporation will become Progress Rail Locomotive International Corportation. The formal removal of the EMD corporate name means that after nearly a century of building rail cars and locomotives the legendary builder will cease to exist as a business entity. 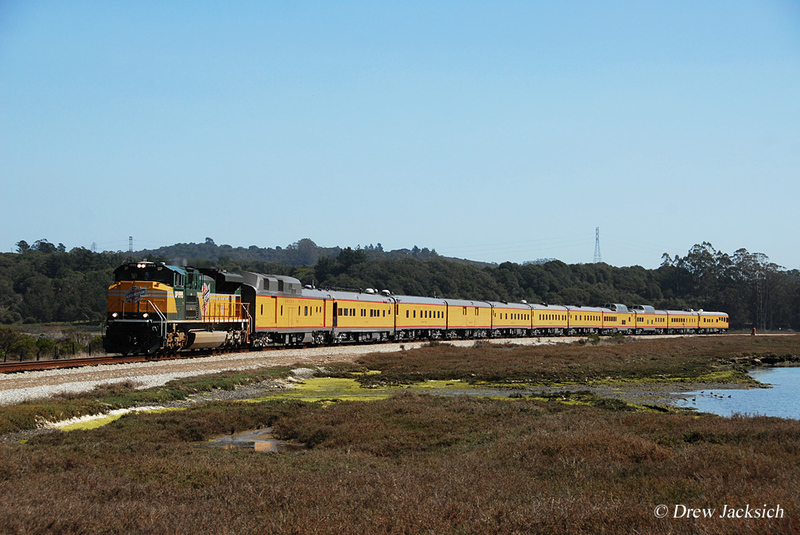 During its time in the business, EMD nearly single-handedly ceased the reign of steam, unveiled countless classics, conceived dozens of famous liveries, and saved the industry millions annually in direct and indirect maintenance costs. 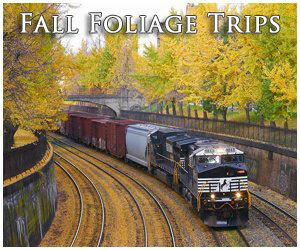 It will continue to exist only as a branding name for Progressive Rail's new locomotive models.